1 to 4 Bedroom Units Available. The Verandah Residences is a new freehold development located right in the heart of Pasir Panjang Road by Oxley Holdings Limited. The plot of land is located at 231 Pasir Panjang Road and the plot of land was acquired through its wholly owned subsidiary Oxley Amber. The location of the plot of land represent a freehold development that is located near to the city as well as Buona Vista Exchange. There are also many other facilities and amenities located near to the development. 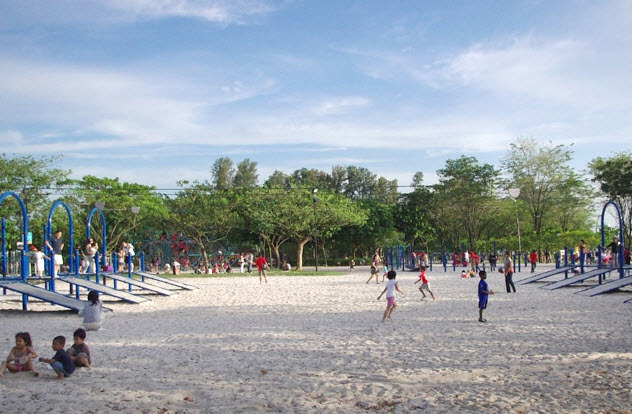 Outdoor Parks near to Verandah Residences include Kent Ridge Park as well as West Coast Park where you can enjoy a quiet stroll along the greenery park trails. This will be an ideal property search for many buyers who are looking for freehold developments located in the city fringe area. Pasir Panjang Road has always been a charm and serene quiet part of Singapore which is located at the South West part of Singapore. The road starts from West Coast Park and stretches all the way near to Pasir Panjang MRT Station on the Circle Line. Pasir Panjang Road runs almost parallel to West Coast Highway where they are plenty of eateries that open till late at night. Many residents living around the area will be able to catch up at the supper places along West Coast Road near to Pasir Panjang Road. Pasir Panjang Road is also located minutes away from Jurong East Central Business District as well as Vivocity. Pasir Panjang Road combines the elegant modern architecture together with the colonial history with its shophouses as well as the new projects that are being built around the area. The Verandah Residences Condo is a prime piece of freehold land by Oxley Holdings Limited at 231 Pasir Panjang Road and is located near to West Coast Park together with many of the amenities along the Pasir Panjang Road area. The site for Verandah Residences Oxley sits on a 89,620 sqft of freehold land at 231 Pasir Panjang Road and is near to the West Coast area where there are many amenities such as shopping centres and eateries available. The option to develop the land was awarded to Oxley Amber Pte Ltd whose parent company is Oxley Holdings. The option to buy was awarded from Casuarina Properties on 11 July and an estimated 200 units can be build on the plot land at 231 Pasir Panjang Road West Coast. 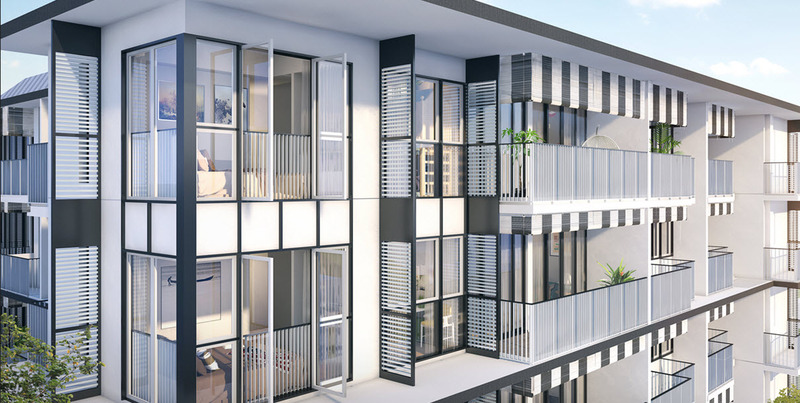 The Verandah Residences Oxley represents a prime piece of freehold land that is highly sought after by developers which are snapping out Government Land Sales sites as well as enbloc sites due to the overall great real estate market conditions in Singapore. There are many enblocs recently which many developers are confident about the real estate market in Singapore. 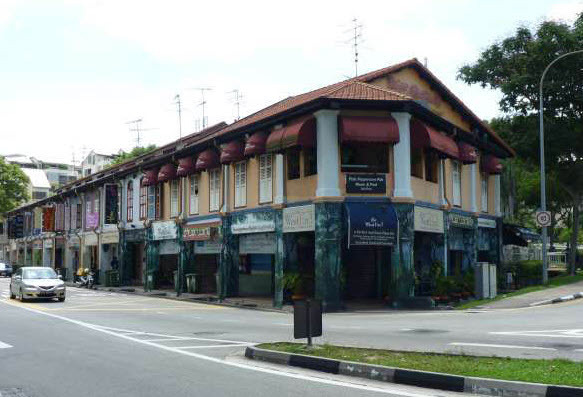 In particular, freehold developments in the West Coast near an MRT Station is highly sought after and therefore Verandah Residences Oxley Holdings will present another investment opportunity to invest in freehold real estate near to Haw Par Villa MRT Station on the Circle Line as well as Pasir Panjang MRT Station. West Coast is a serene and quiet town located near to Verandah Residences and lies near to West Coast Park and Clementi Town. The entire West Coast was made on reclaimed land and is now home to many outdoor recreational activities for residents living around the western part of Singapore. As West Coast becomes more densely populated, more residential developments including landed properties began to form around the area. The area became more popular as it is within proximity to the Jurong Central Business District. West Coast Road runs parallel to Ayer Rajar Expressway (AYE) which makes traveling to the city as well as Jurong East and Jurong West very convenient. To cater to the increasing township around West Coast, a stadium as well as a swimming complex was build and more playgrounds around West Coast town was also build as well. The Verandah Residences Bukit Panjang Ring Road has full and unique facilities, which includes a guard house, clubhouse, function room, indoor gym, tennis court, 50m swimming pool, sun deck, BBQ pits & children’s playground. The condo’s facilities provide full family entertainment needs for your family and loved ones. 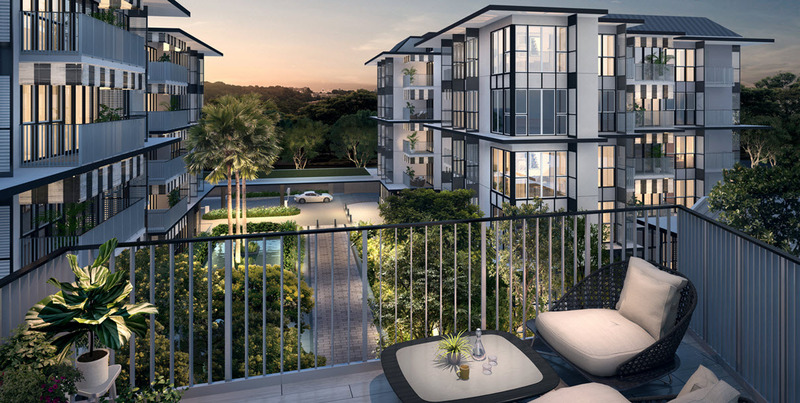 Indulge in a serene and tranquil lifestyle right in the heart of Pasir Panjang. The development is also near to Pasir Panjang MRT Station which is located on the Circle Line. 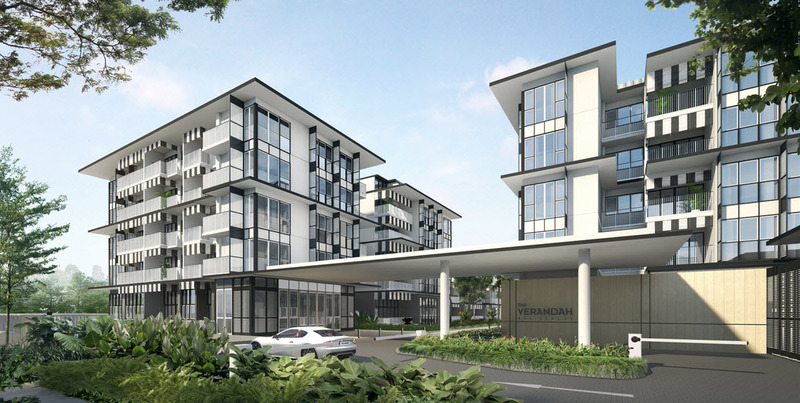 The Verandah Residences is the former Redwood West that will be redeveloped into a prime freehold condo by Oxley Holdings. Redwood West sits on the current site at 231 Pasir Panjang Road. Developments in the west tends to be sold out quickly such as Wandervale EC in Choa Chu Kang as well as other developments located near to the Jurong Central Business District. Buyers who are looking at core city centre condos may also look at RV Millenia Great World City as it is located in District 09 where many other upscale developments are. It is a luxury real estate condo district and the developer for RV Millenia is Roxy Pacific Holdings. More info with regards to Frasers Residence Promenade Frasers Property can be found here. Frasers Residence Promenade is a new development located at the Singapore River. For new development, please also see Dairy Farm Residences which is located right at the heart of Dairy Farm Road. Dairy Farm Residences will be available for sale soon by United Engineers. Pasir Panjang is deep in his colonial history and therefore it’s natural that with the inspiration from its history where Oxley Holdings designing The Veranda Residences. Drawing inspiration from the colonial black and white bungalows and a lush greenery around Pasir Panjang, the design will be the essence of tranquil tropical living. Ad Tech on The Verandah Residences advertisements on win webpages will be available soon. The showflat for The Verandah Residences will be available for viewing soon as well. There will be agents on site daily 31 days a month and no ticket charges are required to view the showflat. The Verandah Residences represents the essence of tranquil tropical living in a colonial setting. Fourth Avenue Residences Bukit Timah nearest MRT is Sixth Avenue Residences which is located near to Bukit Timah and Dunearn Road. There are many shopping centres including beauty world as well as Bikit Timah Plaza. Van Holland KBD Ventures is a new freehold development located at Holland Village MRT Station. Van Holland Condo is due for launch soon right in the heart of Holland Village. Verandah Residences which is under many property searches is also near to many golf clubs such as Keppel Golf Link which provide some outdoor sports avenue for your family and friends. Other golf clubs nearby include Yugi Golf Club as well as Sentosa Golf Clubs. There is also a public golf range at Green Fairways Golf Course & Driving Range. There are also many golf equipment available around the Pasir Panjang Road area such as My Golf Shop at Citilink Warehouse Complex. There are many celebrity exchange of ideas for good investment freehold properties and The Verandah Residences features extensive advantages due to its location and proximity to MRT Station. Enjoy a day of relaxing golf experience with your family and friends near to Verandah Residences. Pictures of the development will be available soon. There will also be showflat pictures uploaded for your consideration. Inner parts of the development such as the facilities as well as the amenities also come with great designs which are more suited for families looking to spend quality time together at the development. For buyers who are looking for developments around the Bukit Timah area by Oxley Holdings, there is a new development called Mayfair Modern which is located right in the heart of Bukit Timah Nature Reserve. The development is near to King Albert Park MRT Station and Mayfair Modern is the former Mayfair Gardens Enbloc which is collectively sold to Oxley Holdings. One Holland Village Commons Square is a new development located right in the heart of Holland Village. One Holland Village will be available for sale soon close to MRT Station and Holland Village. The Verandah Residences Condo is also strategically located with many shopping centres located around in the vicinity. For example, the popular Star Vista, West Coast Plaza as well as Vivo City are located just a few minutes drive away from The Verandah Condo. The Verandah Residences Freehold Condo is also located near to Kent Ridge Park and Hort Park where plenty of outdoor families are available for residents to spend some quality time with their family. It is noted that city fringe developments are selling very well due to the rise in core city prices. For example, Duo Residences located in the city centre have been sold out. The resale market for Duo Residences located at Bugis is also selling very well. This shows that developments around the core city centre are picking up which is an leading indicator of pick up in real estate activity. Also, developments around the West Coast area is selling well as there is demand for flats around the area. The government has just selected eight Housing Board (HDB) flats for Selective En bloc Redevelopment Scheme (Sers). This shows that there is indeed demand for properties in the west especially the West Coast area. Other flats which underwent the Selective En bloc Redevelopment Scheme include sites at West Coast Link as well. Verandah Residences represents a development that is close to the Central Business District. Residents of the development by Oxley Holdings will be able to reach the city area within minutes via West Coast Highway. Traveling to Vivocity as well as Tanjong Pagar is therefore at your fingertips. For owners who prefer to take the MRT, Verandah Residences is just a few minutes walk to Haw Par Villa MRT Station. 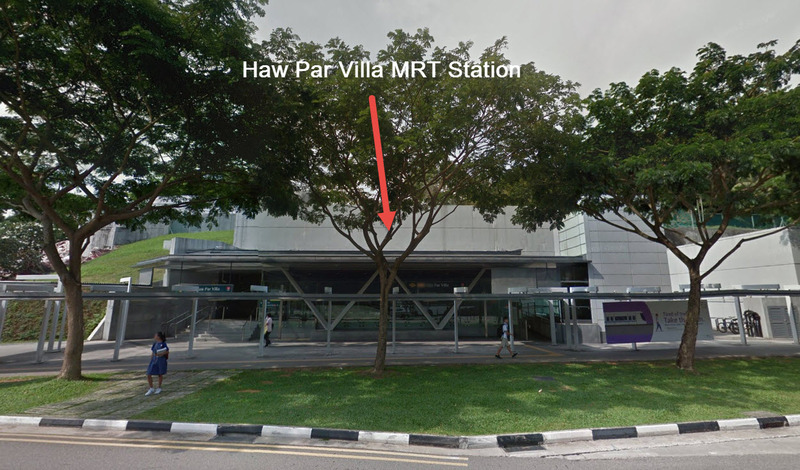 It is just 4 MRT Stops away from Vivocity MRT Station on the Circle Line. The Verandah Residences is also located near to Jurong East Central Business District as well as Buona Vista Exchange where The Star Vista as well as The Metropolis is located. The Verandah Residences represents one of the few freehold developments located right next to an MRT Station. The development by Oxley Holdings is just minutes walk away from Haw Par Villa MRT Station as well as Pasir Panjang MRT Station on the Circle Line. The Verandah Residences is just 1 MRT Station away from One North and 2 MRT Stops away from Buona Vista MRT Station Interchange linking the East West Line. Traveling to Jurong East as well as Clement is also at your finger tips as well. The Verandah Residences represents what many investors will be looking for when investing in real estate. The development is a freehold condo and is better able to retain its value over the long term. Also. it represents one of the few freehold developments that is located near to an MRT Station. Another criteria which potential property investors will be looking at is its proximity to the central business district. The Verandah Residences is just 10 minutes drive away from Vivo City as well as the Orchard area. Therefore the development located at Pasir Panjang Road represents one of the best investment property decisions for investors. The Verandah Residences Condo will be accessible with Haw Par Villa MRT Station which is just a few minutes walk away. Also, for owners who are taking buses, there are several buses available along West Coast Highway and Buona Vista Road. For owners who are traveling to the city, The Verandah Residences is located right next to Ayer Rajah Expressway. You can also take a leisure sports with your bikes available at many of the bike trails in Singapore such as Bukit Timah MTB Trail as well as many of the bike trails available around Pasir Panjang. Other bike trails include Kent Ridge Bike Trail as well as Chestnut Nature Park. The realities of real estate investing is that freehold developments tend to be better than leasehold developments making Verandah Residences one of the better properties for real estate investment. For buyers looking at a smaller quantum leasehold development, please look at Parc Clematis which is located at Clementi MRT Station. Parc Clematis SingHaiYi is located at Jalan Lempeng and is near to Jurong East. By deconstructing the black and white bungalow, Oxley Holdings have created a home that looks and feels traditional yet modern. With luxury finishes and finely crafted landscapes. The key idea behind The Verandah Residences is the Verandah Living Concepts. This Verandah Living Concept features extensive balconies in every units. Full height French windows in the bedrooms as well as courtyard spaces at the ground floor. This allows for the outdoor to come into the indoor spaces and this is the character of The Verandah Residences. More info on a new development by Allgreen Properties freehold condo can be found at Juniper Hills. The development is located close to Bukit Timah. Another project will be One Balestier by Oxley Holdings as well. One Balestier is a city fringe freehold condo near to Farrer Park MRT Station. Another development will be Bukit Timah Collection by Allgreen Properties. Bukit Timah Collection Allgreen is a freehold development few minutes walk away from Sixth Avenue MRT Station. The Verandah Residences Oxley Holdings is also near elite schools such as Tanglin Trust School, River Valley High School, and Fairfield Methodist Primary School. Photoclips of the showflat will be available for viewing soon. The photos will have different layouts to cater to different buyer profile and different family sizes. 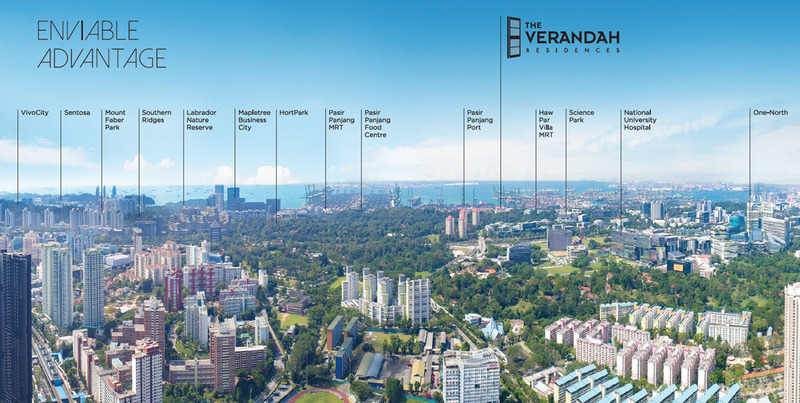 The Verandah Residences will have a centre view of the west coast as well as the Pasir Panjang area which is unblock. For buyers looking at developments in the Bugis area, please also look at Midtown Suites Guocoland which is located at the heart of Bugis where there are many amenities located around the area. Sales of developer projects in Singapore is gaining momentum new homes are more popular in Singapore. For example, developments such as High Park Residences has good reviews indicating that buyers prefer new homes and that the property absolute pricing comes into play. The Verandah Residences is highly affordable to buyers given its location as well as the wide selection of bedrooms to cater to different buyer profiles. Various amenities at The Verandah Residences site plan are available for the residents to indulge in after their work. The site plan include facilities such as swimming pool as well as an indoor gym to facilitate an healthy and active lifestyle for the residents. The Verandah Residence site plan also include other amenities such as gathering pavilion and outdoor BBQ pits for more family time. Newspaper advertisements to connect the buyers to the development will be available soon to make aware of the development launching soon. Please see Bukit 828 Condo by Roxy Pacific Homes. It is located at Upper Bukit Timah Road close to Bukit Panjang MRT Station. A wonderful and unique lifestyle awaits you at The Verandah Residences right in the heart of Pasir Panjang. Please see The Verandah Residences Condo site plan and floor plans for more information. Other developments in the core city centre include 8 St Thomas by Bukit Sembawang Estates. 8 St Thomas is located in the heart of the city near to Great World City MRT Station. 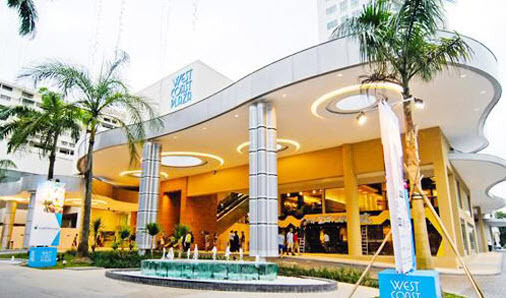 West Coast Plaza is a mixed development that consist of retail components located at the 3 storey building. There are a total of 160,000 square feet of retail space available for the residents to shop around after their work. West Coast Plaza position itself as a lifestyle mall that consist of more than 100 shops with different offerings from fashion to fine dining options available for the cosmopolitan individual. There are also child enrichment centres as well as body wellness centres located in the mall. Advertisements Links for The Verandah Residences will be located in the mall as well. Some of the buying links and stands have already been setup to know more information about the development. 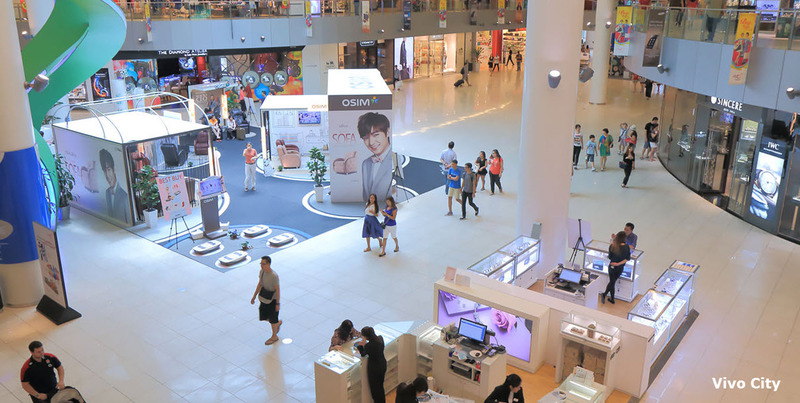 Some of the anchor tenants located within the mall include Cold Storage, Xin Wang Hong Kong Cafe as well as Japan Home. 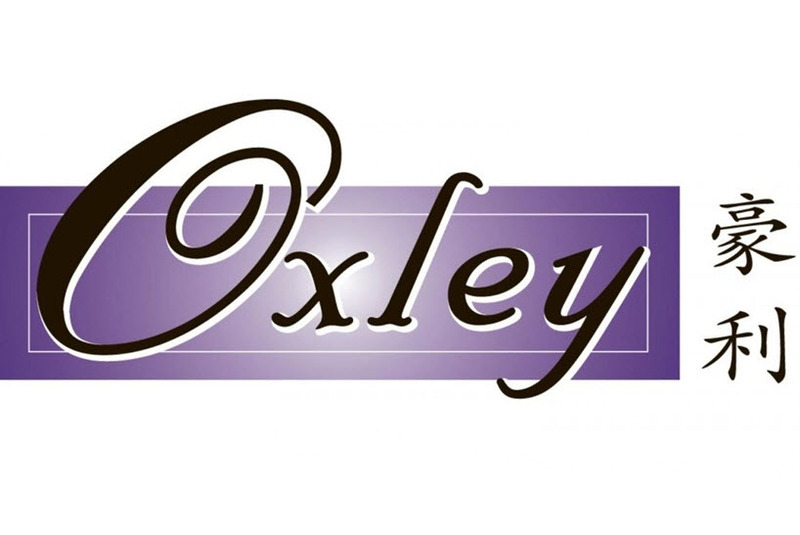 Oxley Holdings originated from the City State and has been active in the Singapore real estate scene. It is active in boutique developments located in many parts of Singapore and its business strategy has seen its expansion into other markets overseas such as United Kingdom, Ireland, Malaysia, Indonesia, China, Australia and Vietnam. Oxley Holdings has development experience in both residential as well as other segments such as commercial and industrial project. The Verandah Residences is Oxley Holdings next Signature residential project. Oxley Holdings success lies in its unique foresight of the real estate market by acquiring strategic land parcels for redevelopment that investors sees as potential asset for capital appreciation and rental income. Oxley Holdings also has overseas project such as The Peak and The Bridge which are 2 mix developments in Cambodia. The Star Vista is Singapore’s iconic shopping centre that is located right next to Buona Vista MRT Station. 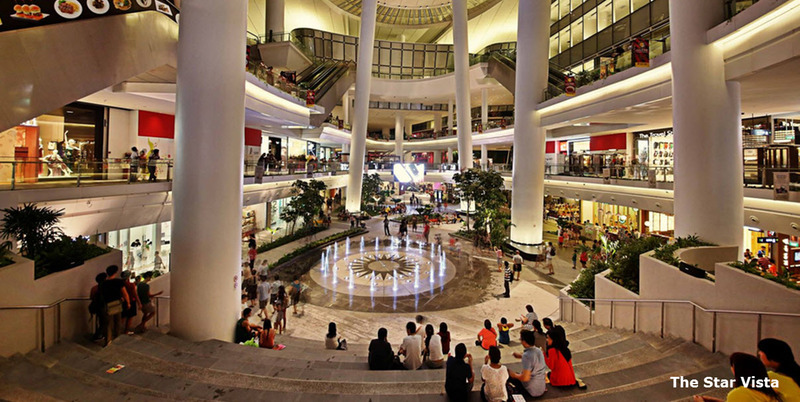 It is the first major shopping centre in Buona Vista and is a popular shopping mall among the young and trendy due to its iconic architecture as well as its location next to Buona Vista MRT Station Interchange. 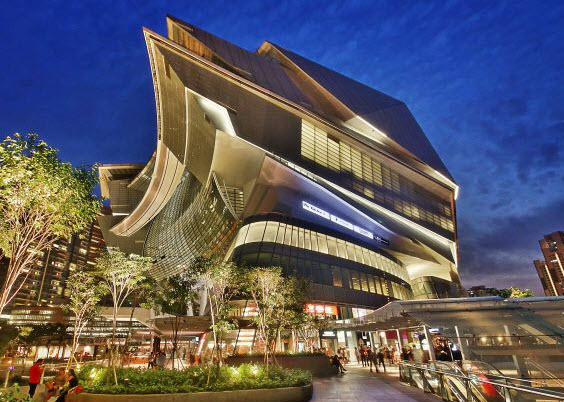 The Star Vista pride itself as Singapore’s first naturally cooled mall and the developer is CapitaMalls Asia. The Star Vista currently is surrounded by 400,000 residents that is located within the immediate vicinity. These include residents in the Buona Vista area as well as students and office workers around The Metropolis, Buona Vista Xchange and Ministry of Education. There are also advertisement sales links located where buying information will be readily available. To cater to the large crowd, there is also ample parking space located within the mall. There are several anchor tenants located within the mall such as Cold Storage as well as J-Mart. There are also many dining options available in the development. The Star Vista is only a few minutes drive away from Condo Launch. National University of Singapore (NUS) is Singapore’s largest university in offers a comprehensive suite of curriculum ranging from the arts, sciences, medicine as well as law. NUS is a research intensive university and is ranked 1st in Asia. 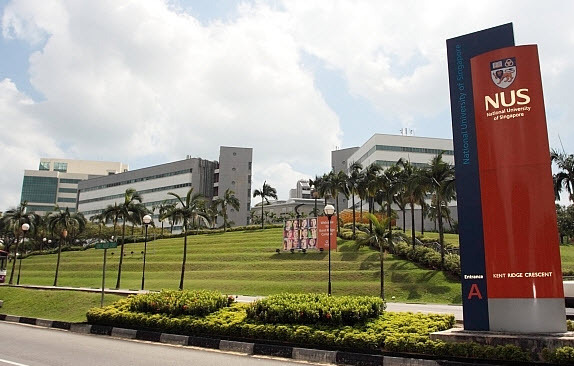 NUS is a highly popular university due to its practical teaching system as well as preparing students to enter the working society as a well rounded individual. NUS is located in Clementi and West Coast near to Pasir Panjang and this provides an opportunity for residents of Condo Launch to tenant the unit to professionals from the educational institution.